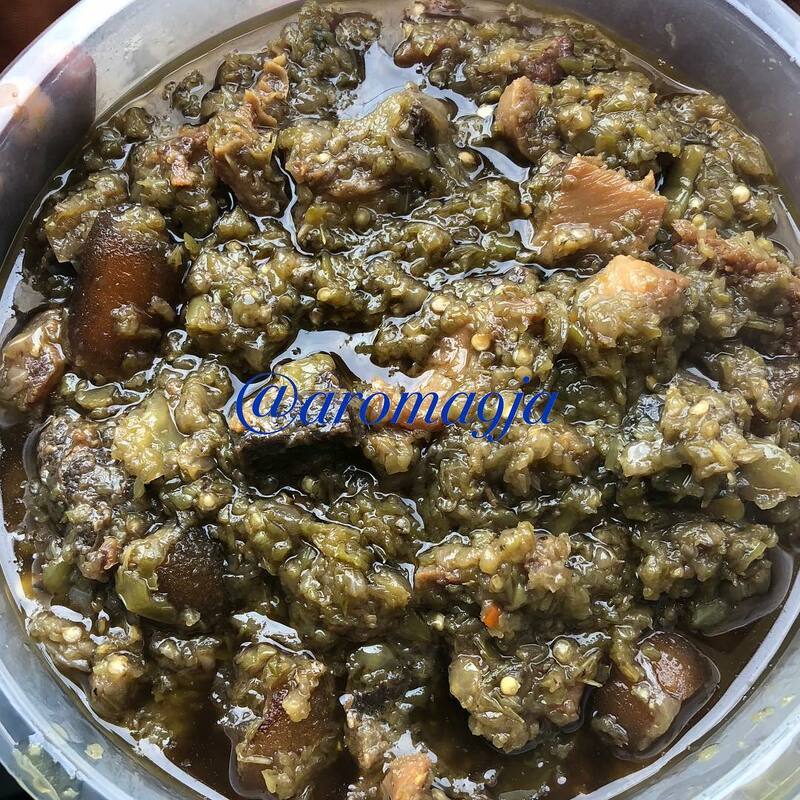 Photo: @9jasoulfood A Y A M A S E | Spicy sauce made using green bell peppers, green scotch bonnet and preferred spices. Ayamase sauce is a spicy stew usually eaten with Ofada rice. It is the perfect meal to be eaten on a cold day. 1. Blend the pepper and 1 onion together. Then boil in a pot until the moisture reduces and it becomes thick. 2. Boil the blended peppers on medium high heat till it reduces to a paste. 3. In another pot, sauté sliced onions in palm oil on medium heat till soft. 4. Add the iru and grounded crayfish to taste. At this point, you can tell how delicious the stew will be by the aroma oozing out of the pot. 5. Then, add the pepper paste and fish/meat, and cook for 10-15 minutes. Stir at intervals. 6. Add salt and seasoning cubes to taste. Cook until stew separates from the oil. 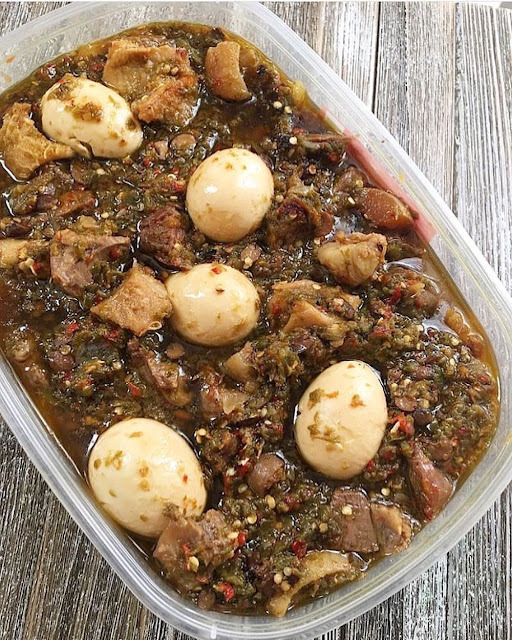 Your stew should be ready to serve! Serve with Ofada rice.